UPDATED: Rotel launches 'affordable high-end' 15 Series electronics | What Hi-Fi? 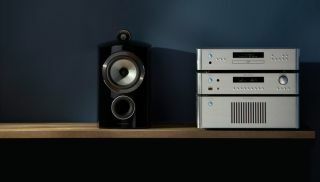 The range comprises two new stereo amps, a CD player and a multichannel home cinema amp, and promises significantly better sound quality and nice new features. Rotel has launched two new amps, a CD player and a home cinema amp in its 15 Series range of 'affordable high-end' components. All four devices feature bespoke oversized toroidal transformers (developed and manufactured in-house) and dual differential input stages. These combine to provide large reserves of instantly available clean, noise-free power and minimal stray radiation patterns that could corrupt the audio signal. Almost every component in the audio paths are 'through-hole' rather than surface-mounted. This gives Rotel a wider choice of high-quality components to choose from and makes upgrades or adjustments much easier. All four also use high-end DACs, plus custom-designed external low-pass filters rather than the more prevalent lower-quality built-in equivalents. The RC-1572 is a two-channel pre-amp. It uses relay switching for analogue sources to maintain integrity of the signal path, and features a 32-bit AKM4495 DAC for digital-to-analogue conversions. Bluetooth aptX comes as standard, as does dedicated rear power for Google's Chromecast Audio. It's joined by the RA-1572 stereo integrated amplifier. It features the same toroidal tranformer as the RC1572, which works with T-Network capacitors to give stress-free signal reproduction. In terms of power, it packs 120W per channel into 8 ohms, and has a mono subwoofer output too. It has the same 32-bit DAC and Bluetooth aptX support. The final new stereo item is the RCD-1572 CD player. Its Wolfson WM8740 stereo DAC supports 24-bit/192kHz and offers full differential voltage outputs, meaning the player can include both RCA and XLR outputs. The new 15-series multichannel amplifier is called RAP-1580. It's a Dolby Atmos (7.1.4) and DTS:X -enabled design. It utilises similar oversize toroidal transformers to its two-channel siblings, and has six Wolfson 24bit/192kHz DACs for processing up to 11.1 audio channels, as well as eight HDMI inputs. All HDMI ins (as well as the two outputs) are 4K compliant, while three are HDCP 2.2, HDMI 2.0a and 10-bit HDR compatible too. The display is a 7in TFT full-colour affair, there are balanced and unbalanced analogue inputs and even a moving-magnet phono stage. All four products go on sale next month. The RC-1572 pre-amp is priced at £950, the RA-1572 integrated amp will cost £1400, the RCD-1572 CD player is £850 and the RAP-1580 £3400. We'll have a hands-on review of the RAP-1580 ready in time for the weekend.